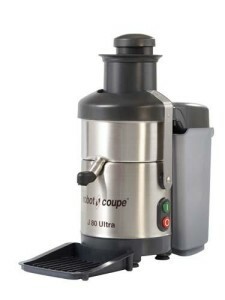 Robot Coupe Juicer Machines J80 and J100 at CRAZY PRICES. 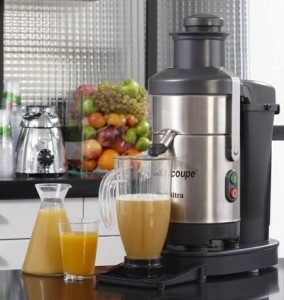 Where else can you buy professional Robot Coupe Juicers at these prices? For more technical data about the Robot Coupe Juicer Machines J80 and J100 have a look here or download the product leaflet here. Contact us if you have a question by clicking here. We can also arrange product demo’s in your kitchen – just ask! The powerful, resilient commercial-grade motor operates at a speed of 3.000 rpm, meaning that the juice oxidizes less quickly. The resulting juices are particularly smooth and bursting with flavour. The noise levels of the J80 Ultra are so low that it can be used right in front of the customer. 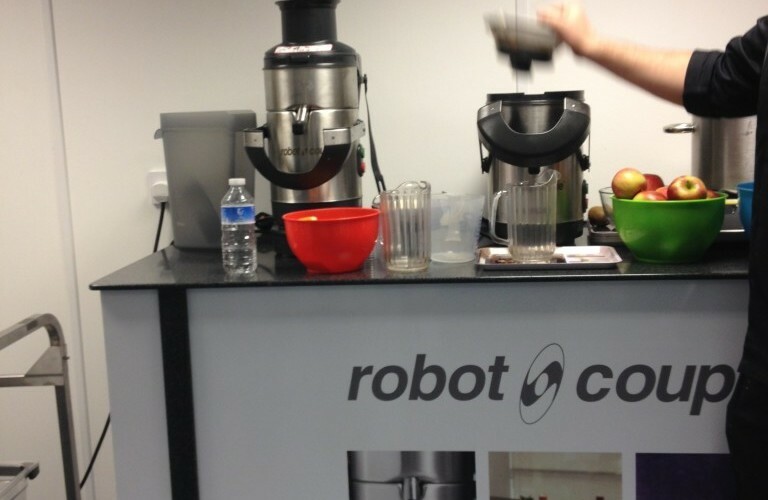 That’s the beauty of the Robot Coupe Juicer Machines J80 and J100! 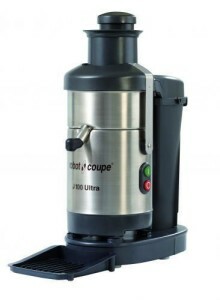 Robot Coupe Juicer Machines J80 and J100 models only ordered online using SagePay or Paypal. Offer available in the UK only. Standard terms & conditions of sales apply. Offer limited to 100 uses and they are moving fast – don’t waste too much time realising what a great deal you just found! ORDER NOW & SAVE £££’s!